My Beatport DJ chart (February 2013) is available! 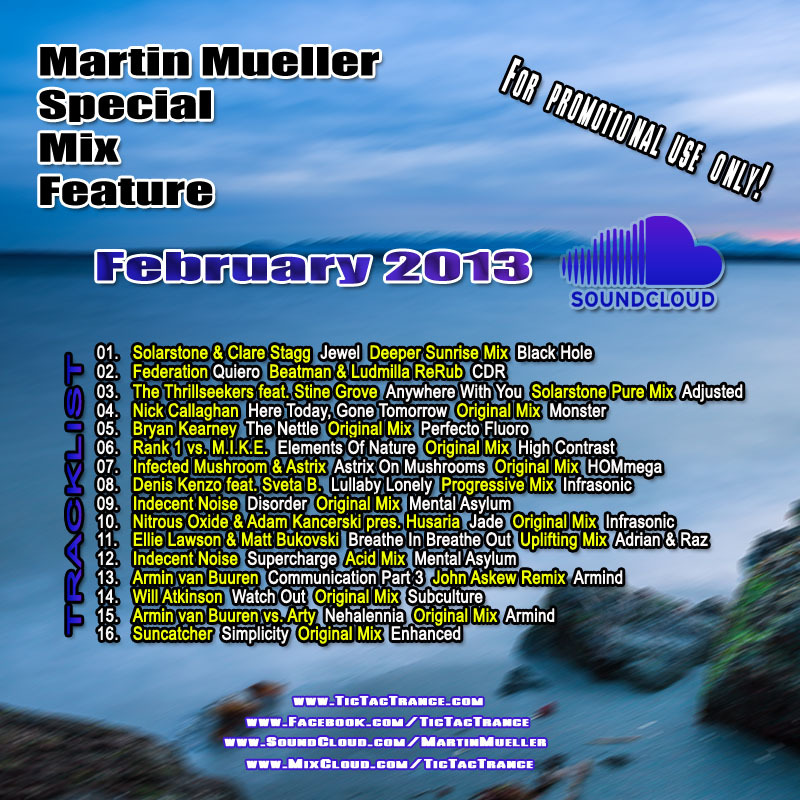 Some tunes are included in my Soundcloud Mix February 2013 aswell! 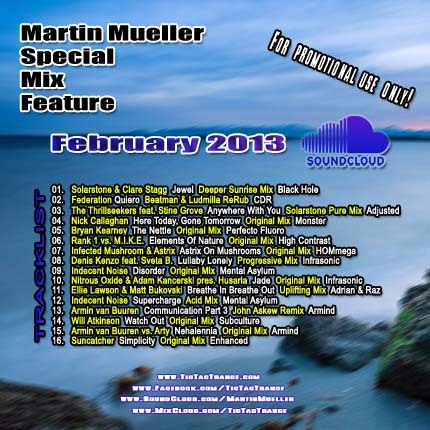 My Soundcloud Mix February 2013 is available! My Soundcloud Mix Series is back with 16 fresh tunes mixed into just one hour! It features tunes and remixes by artists like Beatman & Ludmilla, Suncatcher, Nitrous Oxide, Indecent Noise, Armin van Buuren and many many more! It’s now available on my SOUNDCLOUD page. Enjoy! Tic Tac Trance #062 Replay Available! 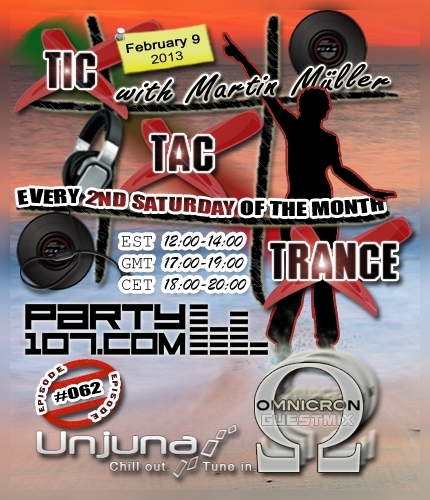 I’m pleased to announce that Tic Tac Trance #062 on February 9 2013 will feature a guestmix by Unjuna community member Omnicron. Omnicron has prepared a mixture of classic and current tunes, from progressive to uplifting trance style! The first hour will feature a set by myself with the latest favorite uplifting and psychedelic tunes and remixes by artists like Bryan Kearney, Solarstone, John Askew, Symbolic and many, many more!